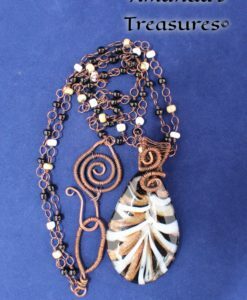 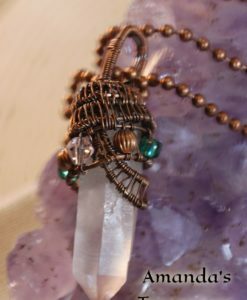 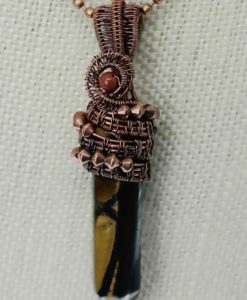 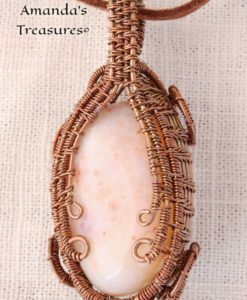 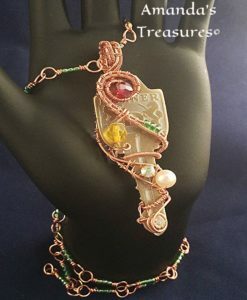 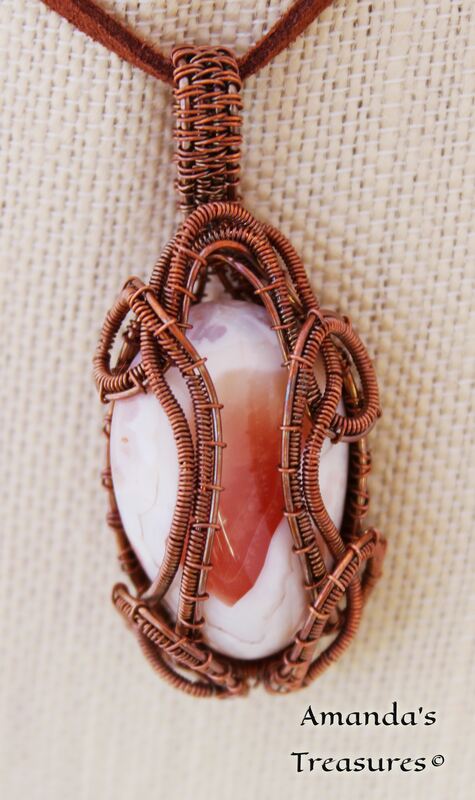 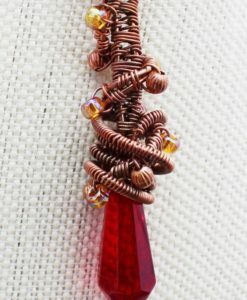 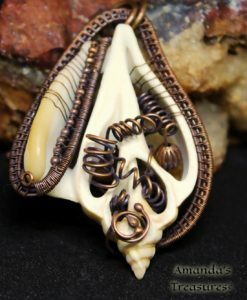 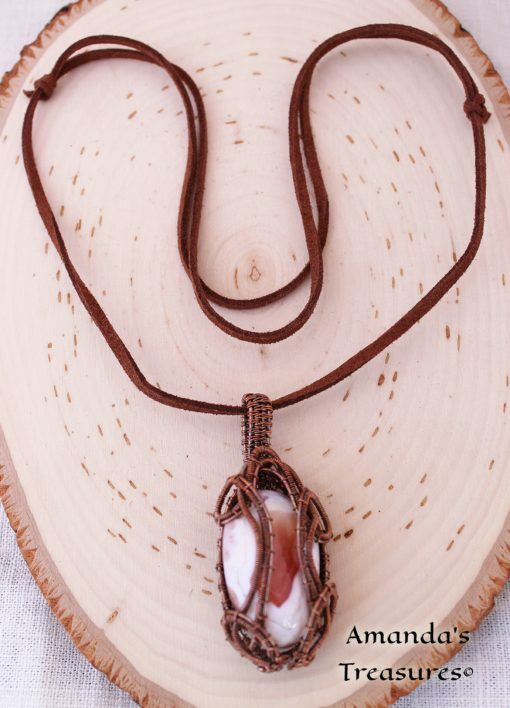 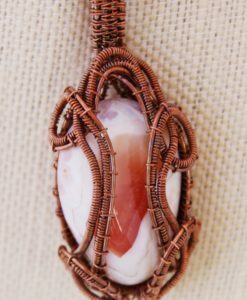 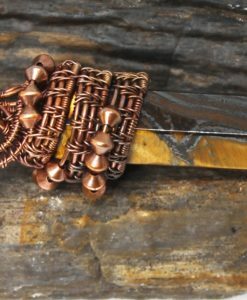 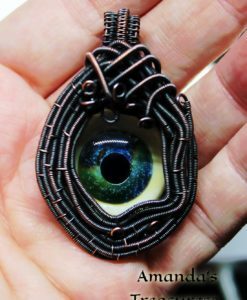 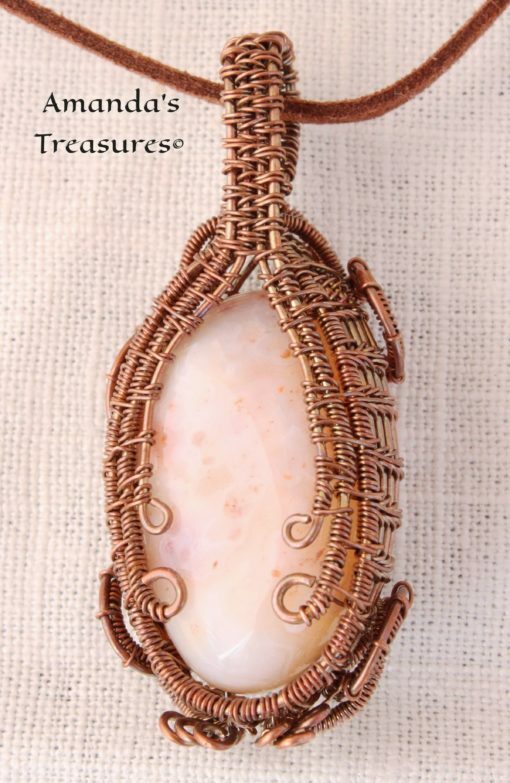 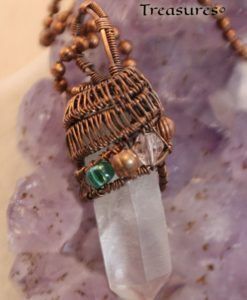 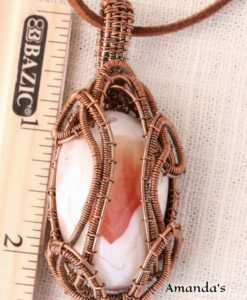 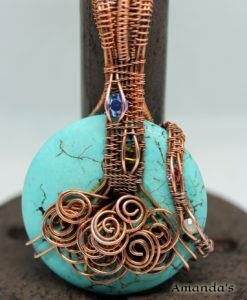 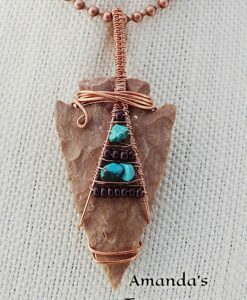 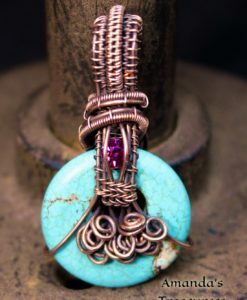 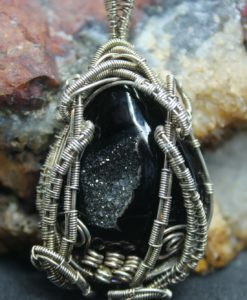 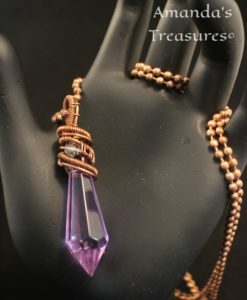 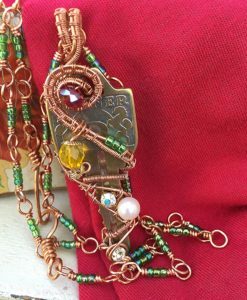 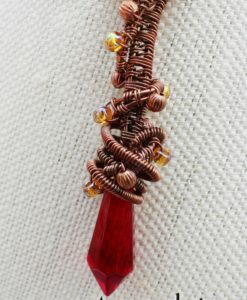 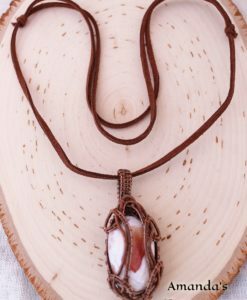 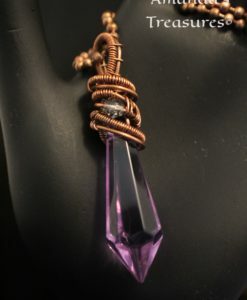 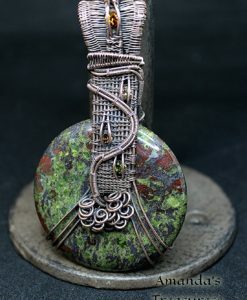 This crazy lace agate copper wire wrapped pendant is stunningly wrapped and woven with graceful curves and coils. 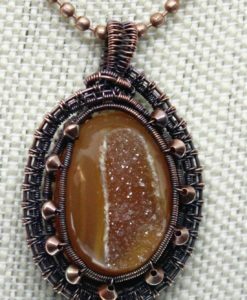 Agate is one of the most common materials used in stone carvings and has been recovered in many ancient sites. 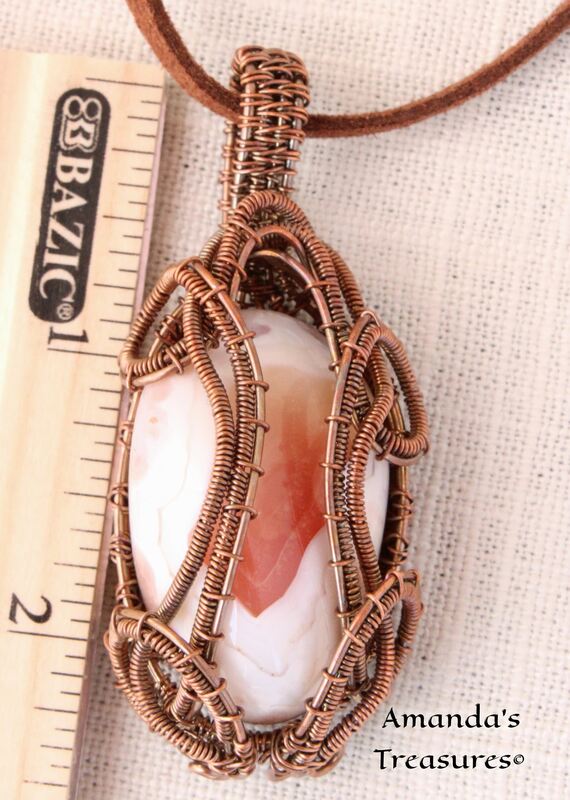 Crazy lace agate is called the laughter stone or “Happy Lace”. 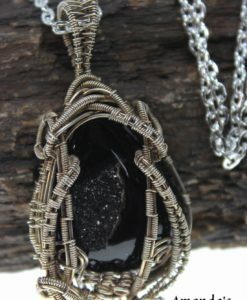 It is said to bring joy to those who wear it. 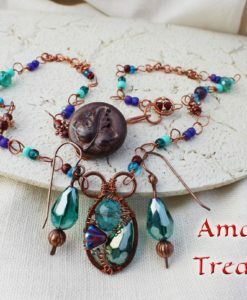 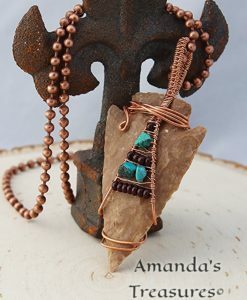 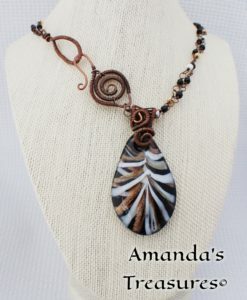 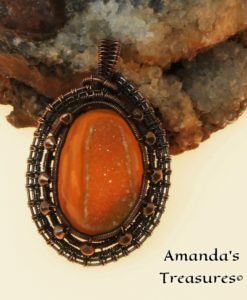 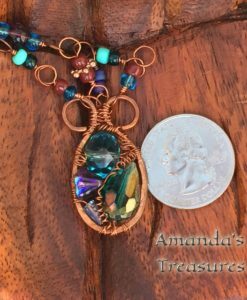 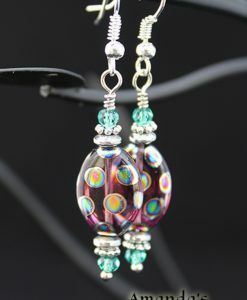 Original design handcrafted with love and dedication by Amanda’s Treasures.